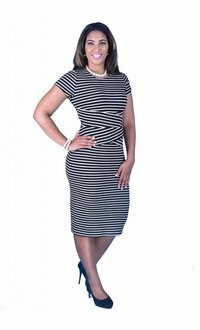 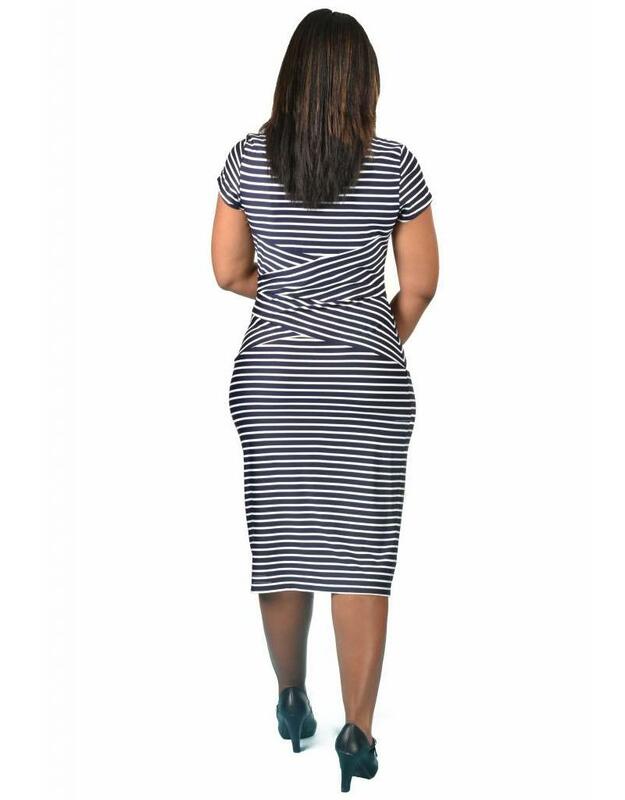 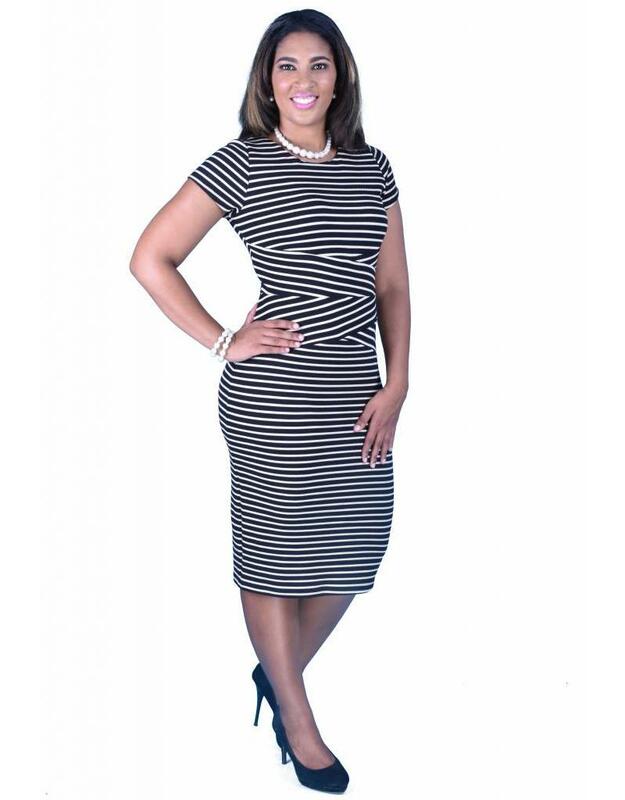 Designed from this modern linear pattern, this dress features short sleeves, a slimming cross pattern at the waist and a hemline that rests just on the knee. 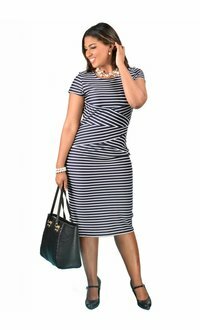 Pair this dress with accessories from our collection for all your needs. 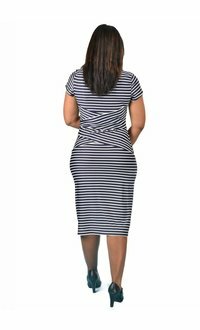 Chic yet very versatile, this short sleeve dress is every woman's dream great style with little effort.